Choose themes specifically designed for cleaning services. Whether you are a one person shop or have a full staff, your site will be professional and express the personality of your business. Maximize your free time and minimize your workload with a house cleaner web page that allows your clients to schedule appointments online. Our easy to use website builder will assist you in building a professional website in a matter of minutes, allowing you to easily reach out to new clients in your area to help you expand your business. 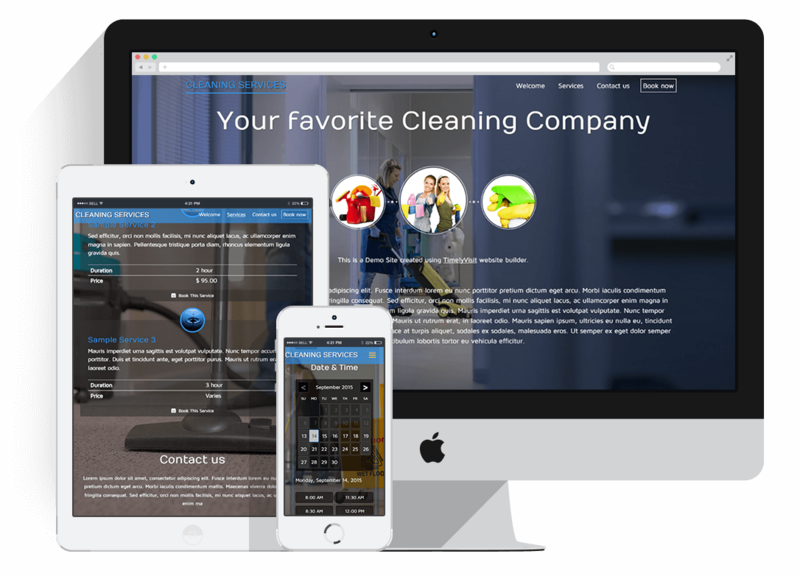 If you have more than one cleaning crew, designing a new website will allow you to list them all as our website builder allows you to add and eliminate staff, making sure that your clients get the cleaning crew or person they prefer. Clients that are happy are more likely to return, so expand your business with the startup of a new professional webpage.